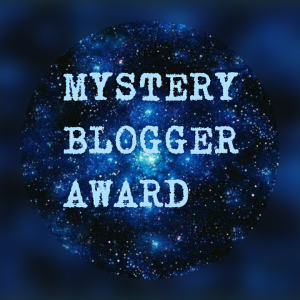 Thank you to Laura @ thebookcorps for nominating me for this award 🙂 She has a great blog that I think you’d enjoy as much as I do. You can read her responses to this award here. I’d rather play sports than watch sports. I love watching shark movies. Jaws is my favorite. I hate using fans even when I’m sweating and really hot. They’re too loud. I’ve yet to find a decently quiet fan. Tough question…. Favorite TV Shows (currently): Family Guy, Impractical Jokers, and The Golden Girls. Favorite Movies (released within the last year or so): Sing and The Lego Batman Movie. Thanks to two of my favorite authors, Lynn Kurland and Juliet Marillier, I really would like to visit Ireland, Scotland, and England. Hard to answer. All the classic novels I’ve read (that I can recall) I read for school assignments so had to finish them to get a good grade. I’m not really a fan of classic literature in general. Off the top of my head…The Hunger Games and Harry Potter. Mostly because of the intricacies of the stories and tension within the plots. Since I’ve done a few awards back to back over the past month or so I’m not going to nominate anyone this time around. But if you’d like to do this award, feel free to! Or if you don’t but would like to answer the questions I would have asked nominees, I’d love to read your responses – leave them in the comment section below. What is one of your favorite books? And which actors/actresses would you cast in the movie adaptation of it? What book(s) sum up your life so far? Which 5 authors would you like to having a round-table discussion with about all things books and writing? Congratulations! I wish I had written Harry Potter too!